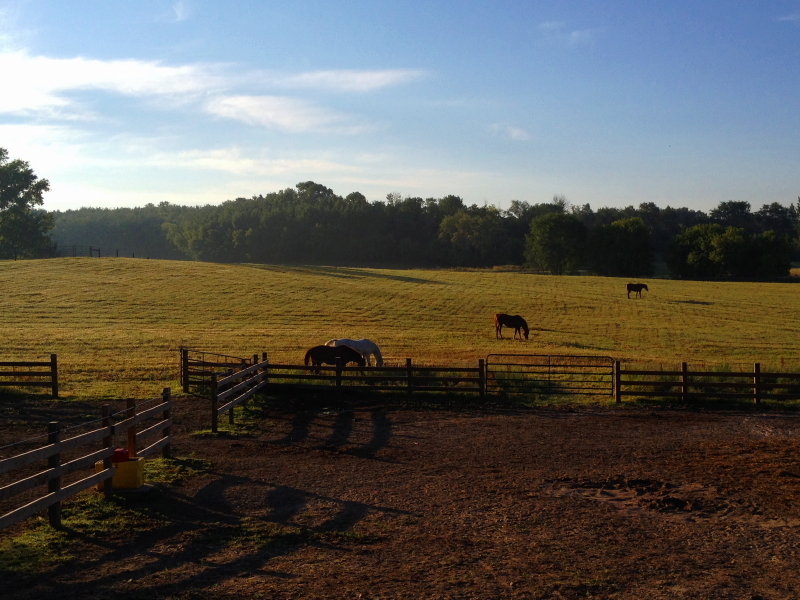 After the horses finished their morning feed, they moved out into the hay-field. We are giving them access to the big field for a few days, post baling. That gives the grazing pasture a chance to recover a bit. I liked how they looked in the early morning sunlight, and in the absence of having my camera with me, I pulled out my cell phone to capture the image. Yes, horses in an open wide space feels great, given we have to control and limit grazing for the most part. We love being able to watch them run together in the open space. Tonight, when I came out to close the gate to the big field, they were up on the hill, grazing. I was able to get their attention and coax them back to the paddock from afar. It is a wonderful thing, when minimal effort succeeds in convincing them to leave the grass. Minimal effort because of your benevolent role in the herd:-) Hence, you understand how the expression ‘one with the herd’ was coined.